We are very proud to present you the latest Imprudence Experimental release 2010.09.11 which contains lots of nice bug fixes and a few new features. Remember folks, this is an optional, bleeding edge test release. If you are looking for the latest stable release, 1.3.0RC2 is the current one. 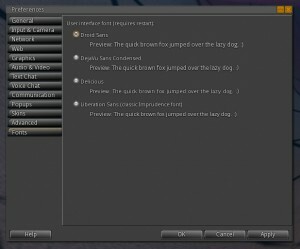 So, what’s new in the latest Experimental? Several new features and a bug fix galore! See known issues for 1.3.0 RC2. Thanks to everyone in the forums/group chat who’ve been helping people discover how we do things in Imprudence. It’s been a great help, and you’ve been appreciated. As usual, please report any bugs in the forums. We hope you will enjoy this build. 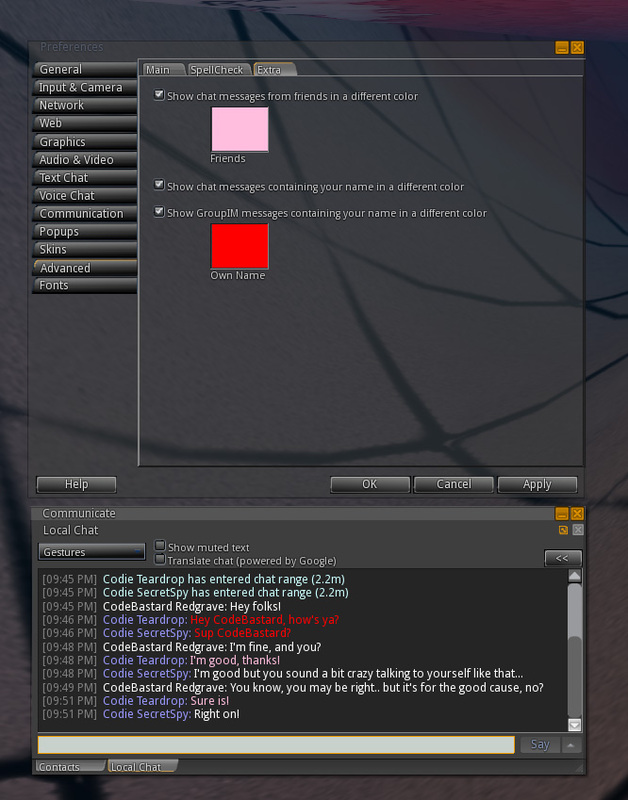 @Hugs: radar is being worked on, but not this week, sorry. Thanks for the good job so far! Could you update your RLVa? 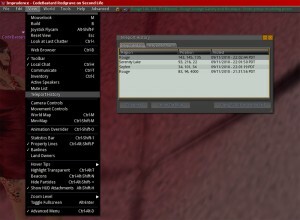 You’re using 1.0.5, where as the current is at least 1.1.1 (according to http://rlva.catznip.com/blog/), or 1.1.2 (in Emerald-based viewers). 1.0.5 has some annoying limitations/bugs. 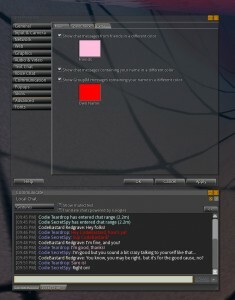 it is simply the best for use in OpenSim! why is it that when opening the experimental imprudence viewer in win. vista it states courpt files? or does it only work for win. 7? @Kathi: more than likely you have an incomplete download on Vista. Try downloading it again. The windows installer is ~29mb. Today none of the splash screens when starting it work, says error 404 not found for the blog, obviously the blog works, since here I am on it.. I think there is some minor issue about the fonts in the texture console, not sure if it was the same already in some previous release, but the loading progess bars fight a bit with the text aside. I tried different fonts and different ui sizes. Please provide a .zip archive, not just a .exe installer for Windows to enable people to use the software on University and shared computers without needing administrator privileges. You guys are GREAT! 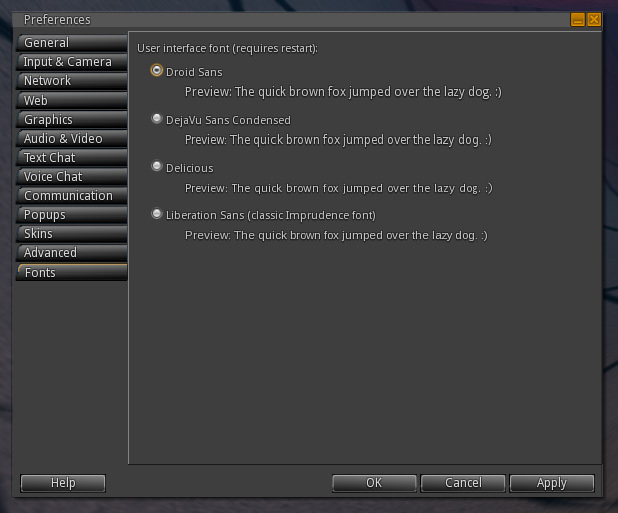 I’m LOVING this release for use on Inworldz! THANK YOU! I didn’t see this in the RC3, because I kept crashing with it and backstepped, but I keep having trouble with Linden trees, bushes, and grass textures refusing to rez without cache clearing and relogging repeatedly. I don’t have a repro formula, but it seems to happen most often when I run multiple, and change graphic levels from high to ultra. The next time I log in single, my Linden trees are gray. @”Oh no”: We moved some of the old downloads from Google Code to our own server, to free up space on Google Code. You can find them all in our test-builds directory. I just didn’t get around to updating the links in the old posts like this one. This entry is filed under Experimentals, Imprudence . You can follow any responses to this entry through RSS 2.0 . You can leave a response, or trackback from your own site.